Solmentes will be showing his Descriptive Bibliography, a work-in-progress and Pizza from Scratch together with other titles such as Taxi Driver Curry – come and meet the Pizzaiolo! 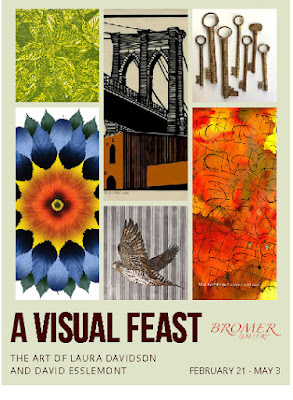 Here's a selection of my books, fine bindings, linocuts, woodcuts, digital prints, calligraphy, and a watercolor you'll find on display. 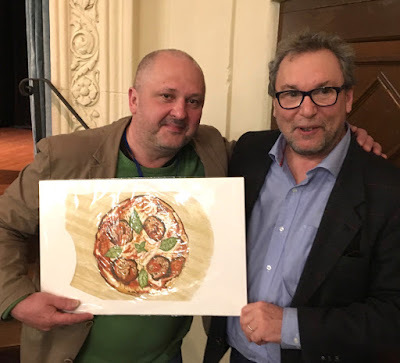 Dimitry won a signed copy of the limited edition linocut"Pepperoni Pizza" by David Esslemont from his book, Pizza from Scratch. 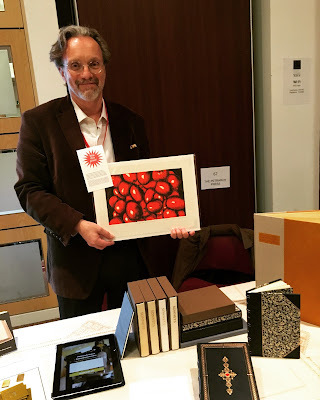 Prize Draw To win a copy of the print, visitors to the Solmentes Press table at the Codex Book Fair (February 3–6) put their business card or name and email address in a bag from which a winner was drawn at the end of the fair. 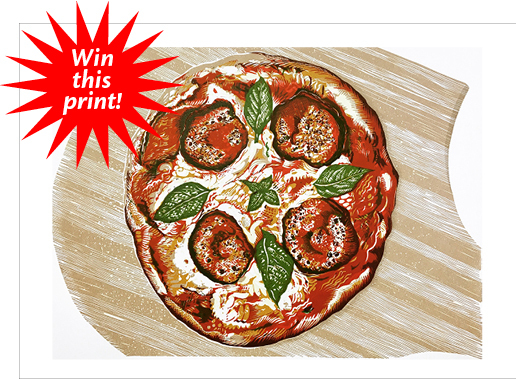 Read more about Pizza from Scratch and buy copies of the print ($300), visit solmentes.com. 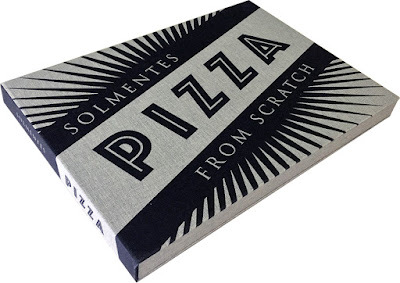 Help The Newberry, Chicago's independent research library since 1887, acquire a copy of Solmentes Pizza from Scratch.